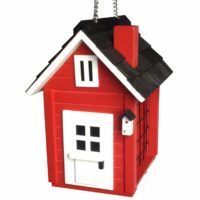 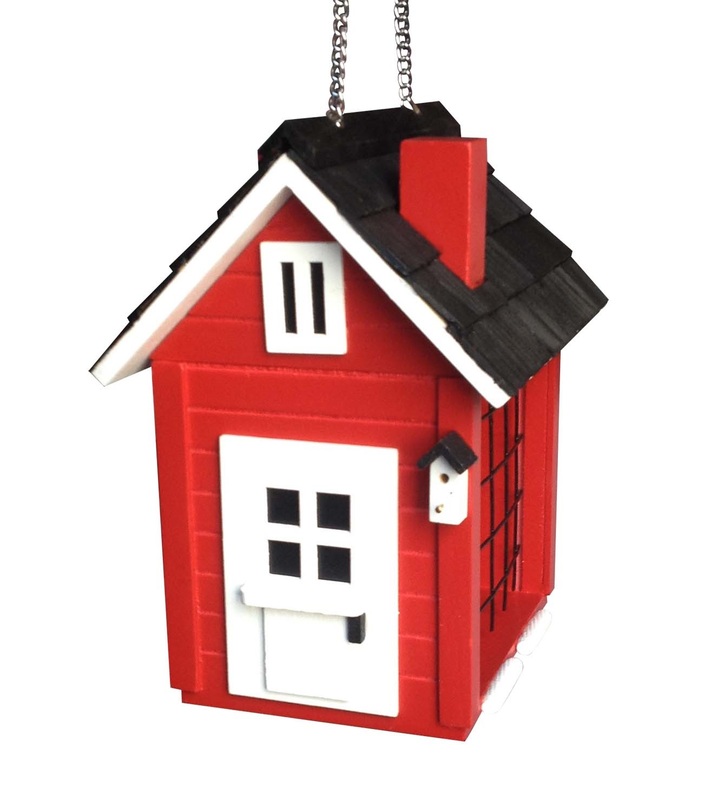 The Cottage Suet feeder in red is no exception, a popular way to feed birds particularly in the winter because the fat used to create the suet cakes is a highly concentrated form of energy essential to maintain body heat. 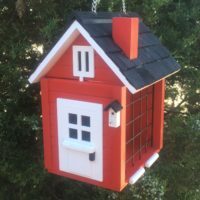 Depending on the specific blend of ingredients mixed with the fat suet can attract a number of different bird species including European starlings downy woodpeckers eastern bluebirds brown thrashers black-capped chickadees northern cardinals blue jays and hairy woodpeckers. 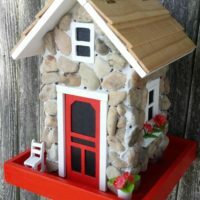 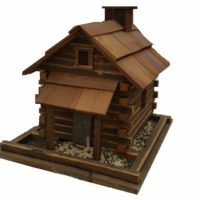 Architectural details include a black pine shingled roof color coordinated chimney multi-paneled windows front and back plus a matching birdhouse detail above the front door. 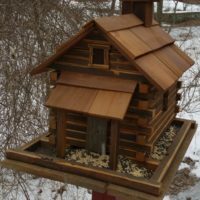 The top slides up a sturdy hanging metal chain to insert two standard sized suet cakes. 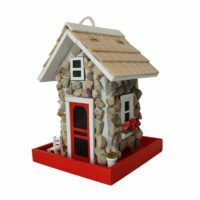 Item Dimensions: 8.25 H x 6 W x 7 D.